Start your NFPA® Engage Membership today, and tap into a global network of safety know-how. At NFPA, we firmly believe the world is a safer place when we work together. NFPA Engage Membership gives you access to a vast network of NFPA resources and expertise, so you stay up-to-date, informed, and prepared to do your job in a changing world. 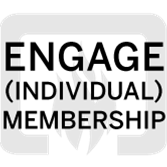 A must-have tool for all fire protection and fire safety professionals, Engage Membership gives you the opportunity to learn from colleagues and to share your voice in today’s industry.